The Archive of Deleted Files (ADF) is an early online project which was created when the first web browsers such as Mosaic and Netscape became popular in the mid 90's. The project was made in collaboration with the IT researcher Konrad Tollmar at KTH – The Royal Institute of Technology in Stockholm and later at MIT. The Archive of Deleted Files is a projects which archive that contains deleted files found in various computers connected to the Internet. The Archive of Deleted Files used a set of the statistically most popular search terms at the time (the mid 90's) as meta keywords tags in order to attract as many visitors as possible. Upon visiting The Archive of Deleted Files, the visitor was asked by a dialogue box to submit deleted files to ADF in order to access the archive. 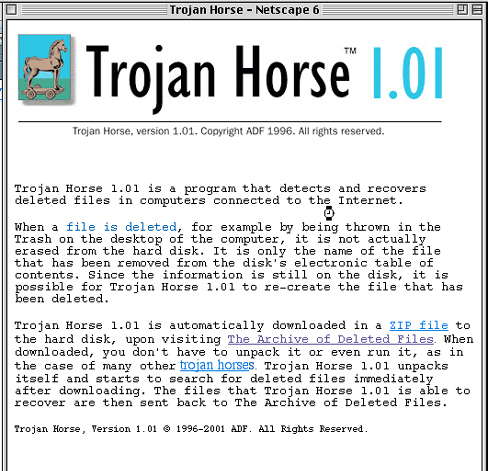 When answering "OK", the program Trojan Horse 1.01 was automatically downloaded to the visitor's computer and started to scan the hard disk for deleted files. The files that Trojan Horse 1.01 was able to recover, were subsequently sent back to database of The Archive of Deleted Files. Since the visitor had submitted deleted files when clicking on "OK" before entering the website of The Archive of Deleted Files, the visitor was thereby given free access to earlier visitor's deleted files, which had been recovered by the program Trojan Horse 1.01 and stored at The Archive of Deleted Files. For each contribution of deleted files, the visitor was entitled to explore an earlier visitor's deleted files. 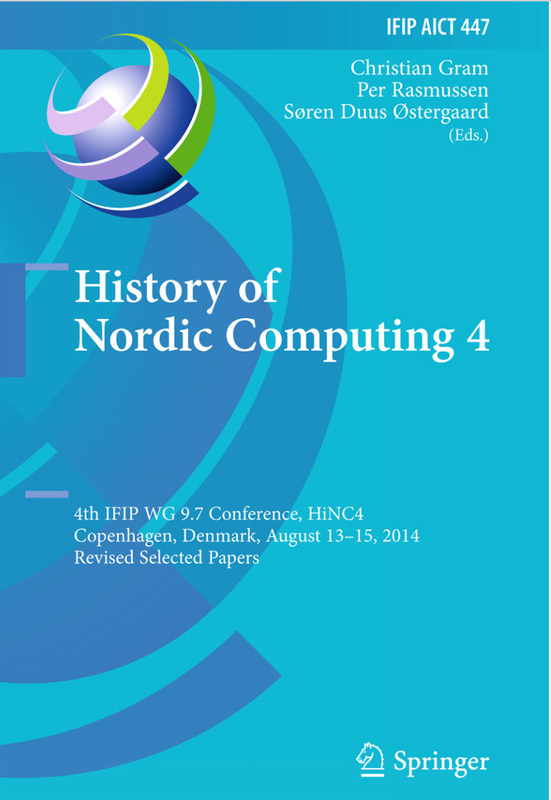 The project The Archive of Deleted Files is included in History of Nordic Computing, Copenhagen, 2014, which focus on innovative ICT milestones that transformed the nordic societies and on the new ideas, systems and solutions that helped creating the welfare societies of today. "ICT in Art in Sweden 1993–2011: Tool, Medium and Theme", Orrghen, Anna, Pages 78-89.